Thai red curry is a traditiional Thai cuisine. It is a very hot and tangy chillie vegetable curry but very nutritious and low in calorie. It is perfect for losing weight with optimum taste. The chemic.. 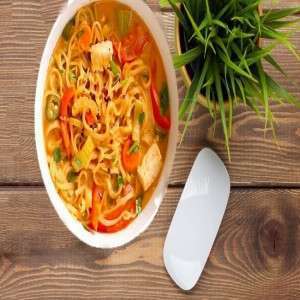 This is a nutritious weight loss soup made in Thai style loaded with vitamins and minerals and provided satiety value. Mushroom and Tofu used in this recipe provides good amount of protein . Tofu is a.. In this dish the noodles have been cooked in typical Thai spices. The noodle used is made of whole wheat or quinoa noodle which has great health benefits and helps in weight loss. It has a very h.. This soup is made from mixed vegetablea and hence has a lot of health benefits. Vegetables are loaded with fiber and helps in digestion and relieves constipation. Also they are loaded with..
Stir Fried Pumpkin in Tha.. 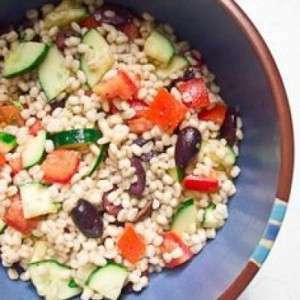 This Pasta salad is made from angel hair pasta which is very thin pasta and cooked in coconut milk which has many health benefits and help you lose weight. Coconut milk helps in digestion and relieves..